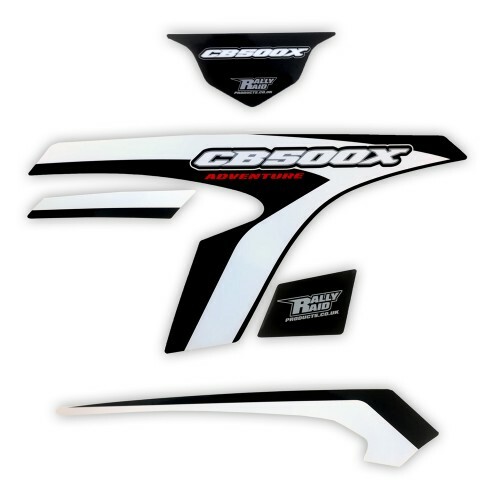 Our own high-quality graphics to suit the Honda CB500X and F, with our without our Adventure kit fitted. 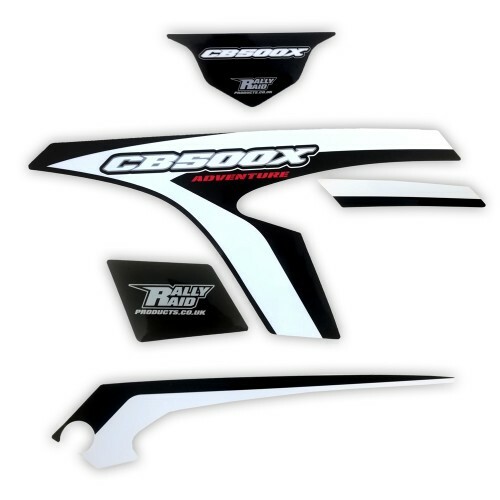 Dark Charcoal and white, so that they are compatible with all colours in the CB500X/F range. Reverse printed so very resistant to scratching and washing.